There are about three bazillion Autumn ideas and recipes floating around Pinterest.. and I love it!! This is definitely one of my favorite times of the year so when we had a work potluck, I turned to Pinterest for inspiration. 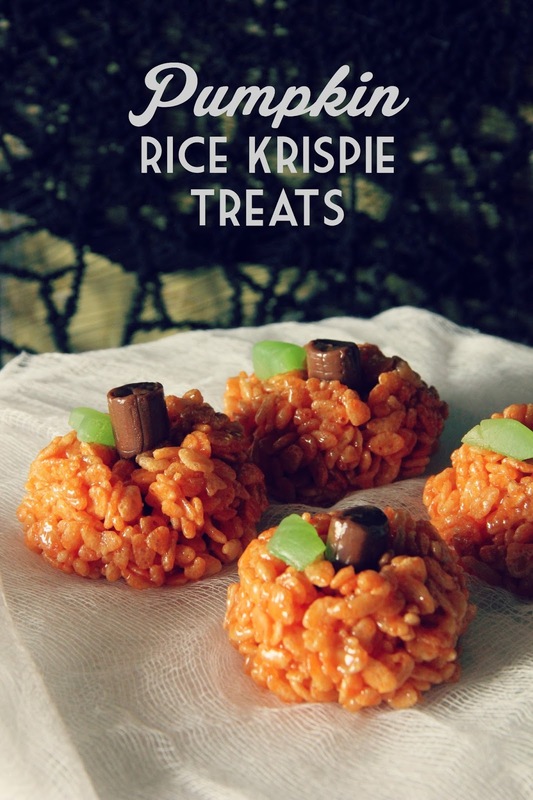 I found these adorable rice krispie treats and had to give this recipe a try. They turned out even better than I imagined!! They look impressive, but they were actually pretty simple to make. I followed this recipe and substituted the fruit roll-up leaves (I couldn't find any in green!) for swedish turned into leaves. Have you had any Pinterest successes lately? Oh yes, Pinterest is the best in the fall! These look so adorable and sound delicious! I'm drooling over these! :) By the way, I got the hoop in the mail last week! It's so adorable! Now I just need to get a hook to put it on!